This is a great time to join Stampin' Up! Do you LOVE stamping, scrapbooking or paper crafting? Have you thought of owning a business and adding income to your family? This is a great time to join Stampin' Up! Anything friends or family buy from you counts towards your quarterly minimum. You can earn additional commission dollars on purchased products! 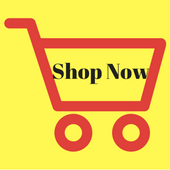 Buy from yourself and it counts too – Birthday, Christmas, Wedding presents, etc. Our biggest sale of the year, Sale-a-bration, runs from Jan 3 – March 31st. Anyone (including you!) 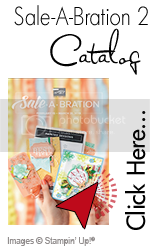 who purchases $50 in products get a free set of stamps from the Sale-a-bration mini catalog (photo above). Sales are huge during Sale-a-bration so this is a great time to join Stampin' Up! The Occasions catalog promotion dates run from January 4 - March 31st. I have had a sneek peek at this catalog and know you will be WOWED by the new products coming our way! Stampin' Up! has an amazing promotion for Stampin' Up! demonstrators who join between now and December 31st: pre-order Occasions Mini catalog products in December and you can qualify to get FREE Sale-a-bration mini catalog products! Do you have additional questions for me about the Stampin' Up! business opportunity? Contact me at: terri@nutzaboutstamping.com and I am happy to chat with you.